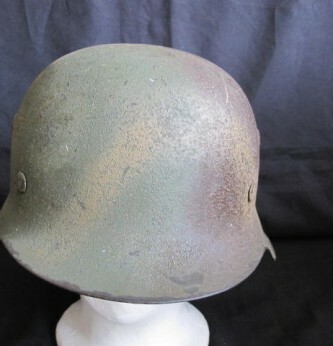 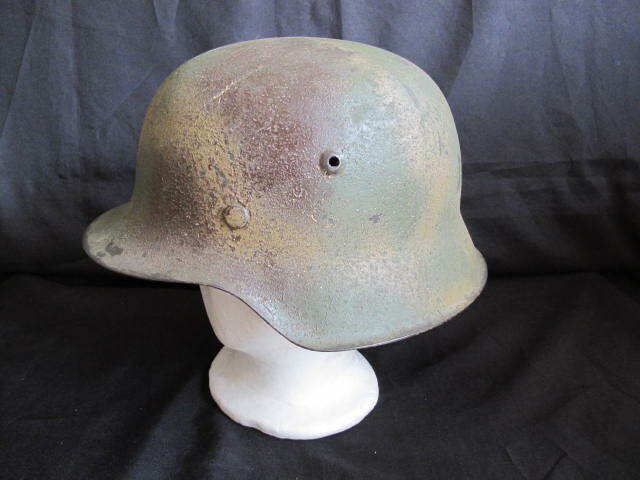 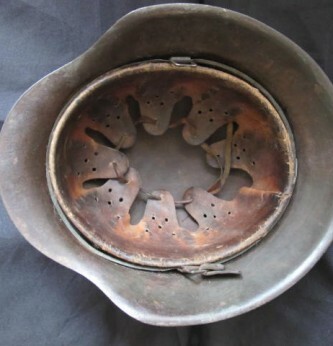 Normandy Cammo raw edge German Combat Helmet. 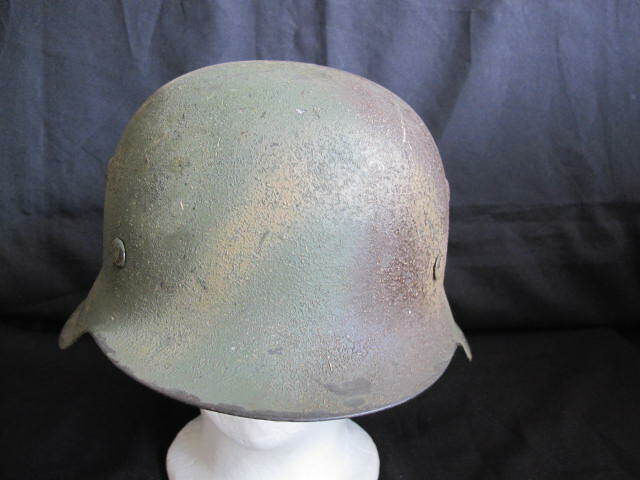 Sprayed green/brown rough textured shell finish. 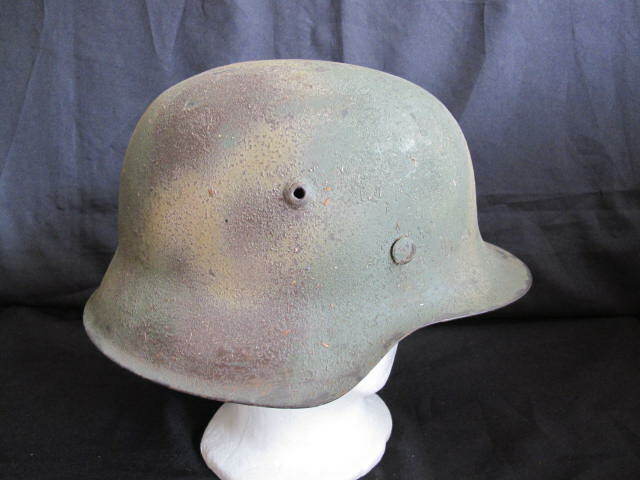 Good clear colours remaining. 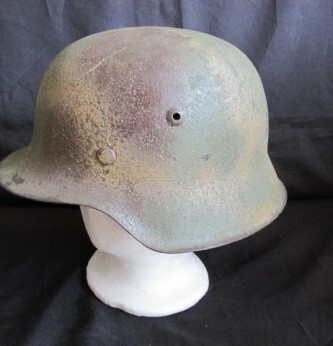 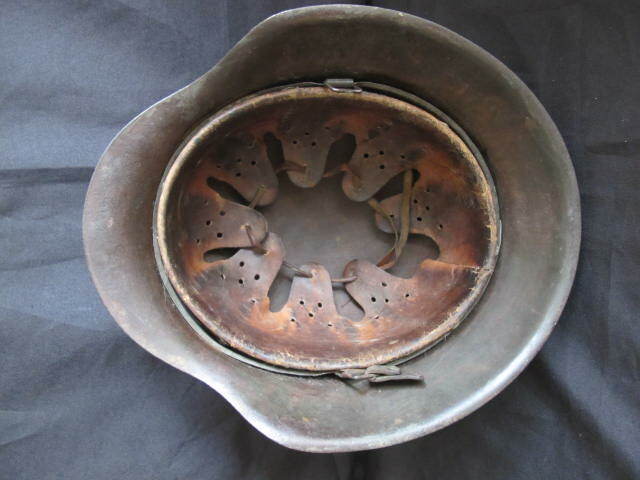 Complete with its original lining in good condition with only service staining, but unfortunately chin strap now missing, as is back helmet rivet. 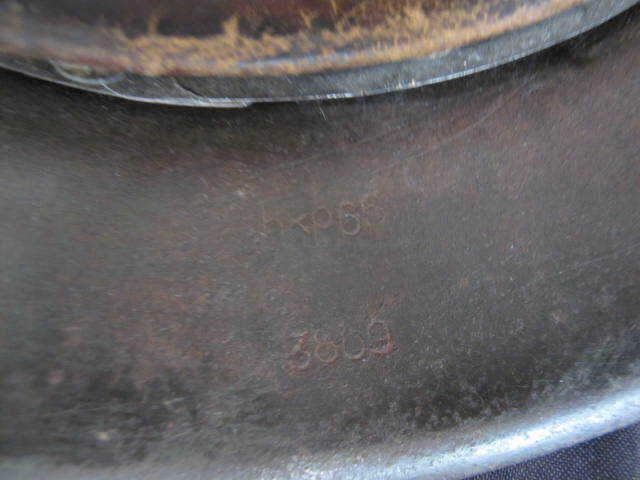 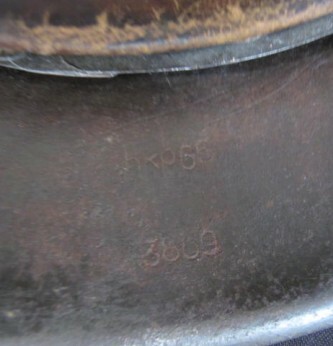 Back rim marked HK 066. 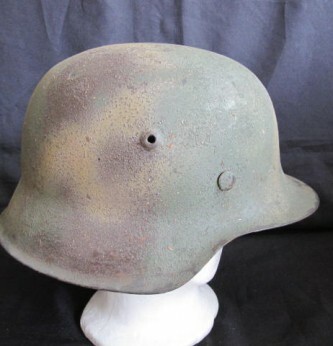 A nice Army camouflaged combat helmet.